Fiat USA snuck out a Fiat 500 Abarth from the Los Angeles Auto Show and paid a visit to Jay Leno's Garage. In the above video, Leno talks with Joe Grace, Head Engineer for Fiat, and gets an overview on some of the features that make the Fiat 500 Abarth so special. As you'll see, Leno owns Fiat 500 Prima Edizione number 2 and is quite smitten with his car. For someone like Leno, who has access to the very best, to enjoy and use his Fiat daily really speaks volumes about the car's character. 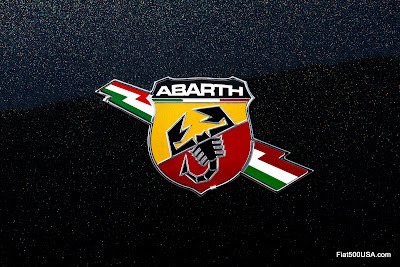 i looked at the abarth specs and i thought the compression ration of the turbocharged engine is 9.5:1 not 9.8:1?